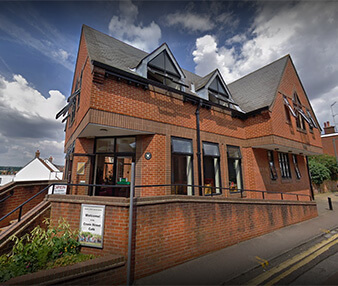 If you are suffering from a condition and would like to book an appointment, Orchard Physiotherapy services can be accessed from multiple sites around the St Albans area. You will have the option of attending either our main site, or one of the GP Surgery sites as detailed below. You do not have to be a patient at the GP Surgery group to access Orchard Physiotherapy staff at these GP Surgery locations. You will be informed well in advance, and given the choice of where to see your Physiotherapist, and will receive the usual text reminder, with location on it. This is a managed office building controlled by Regus. The Regus receptionist will welcome you and waiting is in their main reception. Please identify yourself as a client for Orchard Physiotherapy Clinic, as other companies and another Physiotherapist work on site. The reception is open 8.30am – 5.30pm Monday to Friday. For appointments outside these hours please call the Entrance Mobile Number 07401 832782 and our staff will come and let you in. Please note this number is for entrance only and not for bookings and enquiries, please use our main number 01727 855414 for this. 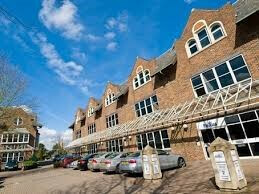 Parking is available on site, and must only be in the parking bays labelled with Regus signs. A parking fines officer patrols between 8.30 am and 5.30 pm. Between these hours please ask the Regus receptionist for a complimentary parking ticket to display in your car. Anyone in non Regus signed bays or without a ticket may incur a fine. Outside of these hours you may park in the Regus bays without a ticket. Parking availability is not guaranteed. In the event that no parking is available, parking may be found in the Train Station car park over the road. On street parking is available at the front of the Registry Office and to the side of Victoria Square accessed via Flora Grove, or Shirley road after 10.30am. 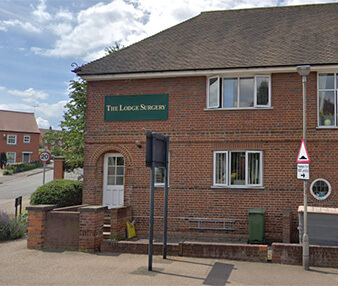 Located behind the main high street and just off the common, this is a 10 minutes drive from St Albans City Centre. 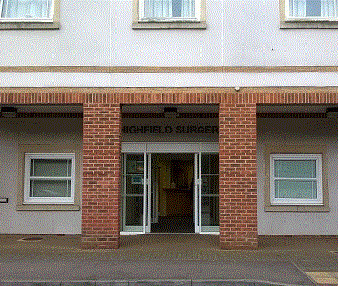 This is a newly built surgery in an attractive area, with onsite parking outside. Reduced traffic volume makes this very accessible. Please identify yourself as an Orchard Physiotherapy Clinic client to reception staff. Onsite parking is available. This is a busy surgery with lots of patients coming and going from the parking bays, so please leave plenty of time for a space to become available. . Please identify yourself as an Orchard Physiotherapy Clinic client to reception staff. 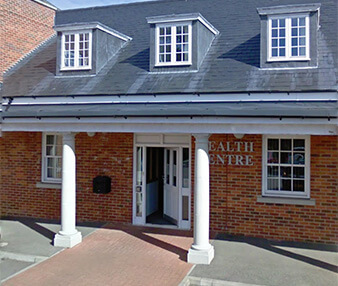 Onsite parking is available opposite the surgery by the Spar shop. Please identify yourself as an Orchard Physiotherapy Clinic client to reception staff. This is located just off Upper Dagnall Street by Argos. Christopher Place car park is directly outside, and Drovers Way NCP and Maltings multi-storey car parks are a short walk away.